If you or your band is interested in playing a show at The Key, please email Chelsea Malek at cmalek60@gmail.com or Tom Winter at v0100111@gmail.com . 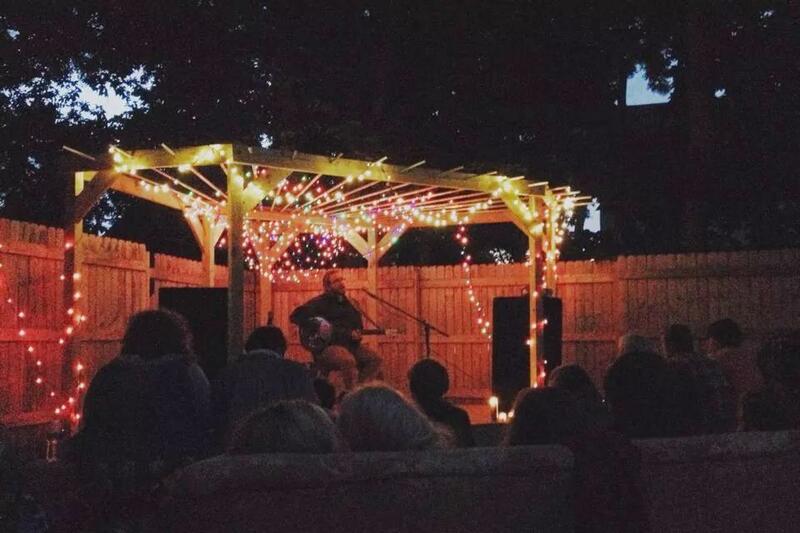 We now have both an indoor and outdoor stage! The purpose of this scholarship is to provide funds of up to $2000/year for a Northfield youth to be able to pursue post-secondary education. 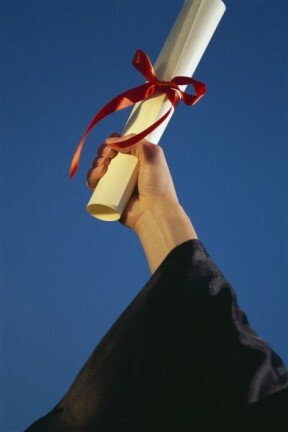 Renewable for up to 3 years (in addition to the initial year). Download an application from the link above or come to the Key and pick up a hardcopy. 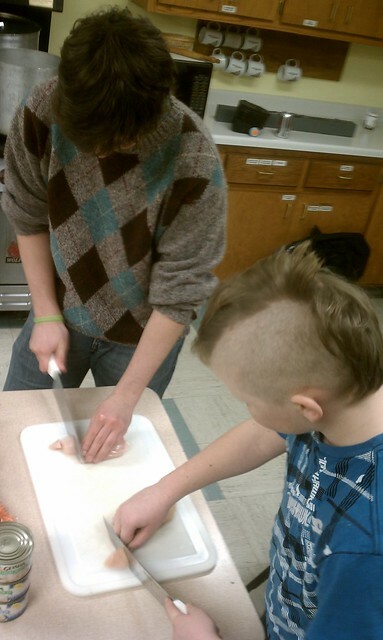 A handful o’ kids made Chinese food with Danny Dobrow yesterday. 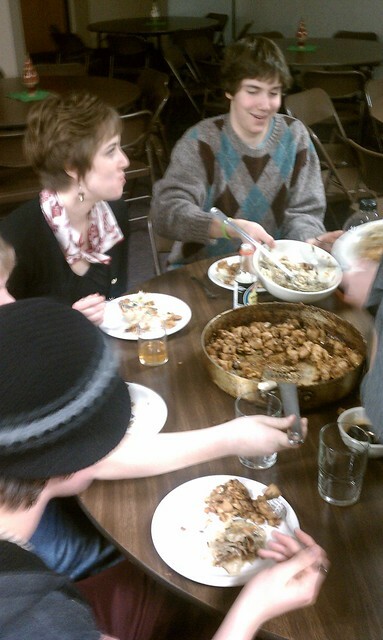 Using the fabulous Emmaus kitchen, we made Vegetable “Dumplings”, Kung Pao Chicken, and Tofu Fried Rice. It was… SO MUCH work. Give to the Max Day – A Success!! A special thank you to all of the people who so generously donated to the Key on Give To the Max Day, Nov. 16th. Thanks to you, we raised $1345 in a single day! We are so grateful for your support. What: A chance to come see the new building, meet the current board, learn what the Key’s been up to, reconnect with other alumni, and share stories! *For more info call 507-663-0715 or email merritt.amy@gmail.com. Invite your friends and check back here for updates! 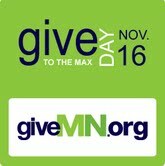 “Give to the Max Day returns as a day to inspire unprecedented levels of charitable giving in the state of Minnesota! Our goal is to beat our own record and get 40,000 people to give to their favorite Minnesota charity on November 16. Hundreds of nonprofits will offer the opportunity to double your dollars throughout the 24 hours. Every donation you make gives your favorite organization the chance to win even more money. Please mark your calendars for November 16 – donate to your favorite organizations who help contribute to the quality of life in our state. Whether you care about children, the arts, clean water or education – you can connect with a cause and an organization that needs your support. Then share your donations with your friends and family using the easy share links on GiveMN. 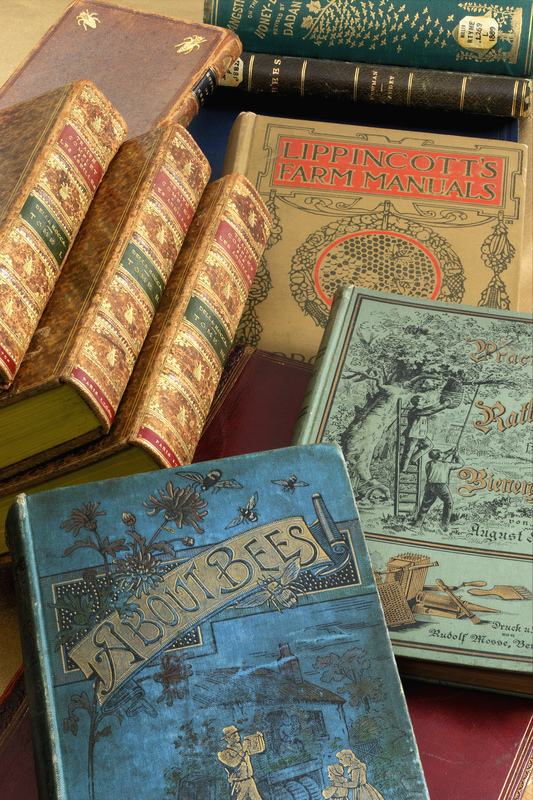 There is over $1.8 million dollars available in matching funds, so be generous! 2. Search for “Northfield Union of Youth”. 3. Click on one of two tabs: “Help the Key open a new door!” or “NORTHFIELD UNION OF YOUTH INC”. 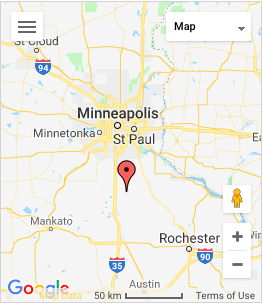 The first link is specifically for our capital campaign, which will help cover the cost, repairs, and remodeling of the new building (this is where we need the most help right now), and the second tab is for the organization in general. 4. Enter the amount you want to donate. Thank you for all of your generous support – we really hope you consider giving! To all who have picked up your copy of The Chosen, and to all who have not but still want to participate: we will be reading Chapters 1-2 for Monday, Nov. 15th. Again, meet at the Key next Monday at 7:00pm for good discussion and delectable morsels (aka SNACKS). Who ya gonna call? THE KEY!! The NEW Key FINALLY has a working phone! 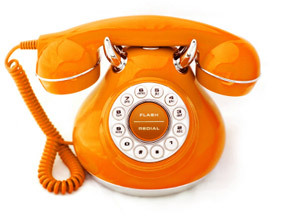 You can once again call us with all of your hopes and dreams. The number is still 507-663-0715. Book Club will be starting up at the Key on Monday, Nov. 15th shortly after 7pm. 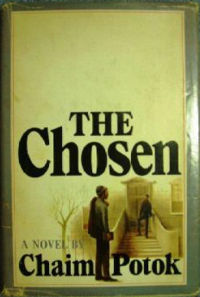 We will be reading The Chosen by Chaim Potok. Also, we have a legitimate St. Olaf student who will be helping us lead discussion! Please stop by the Key to pick up a book if you are interested in attending. There will be snacks!!! Few stories offer more warmth, wisdom, or generosity than this tale of two boys, their fathers, their friendship, and the chaotic times in which they live. Though on the surface it explores religious faith–the intellectually committed as well as the passionately observant–the struggles addressed in The Chosen are familiar to families of all faiths and in all nations.